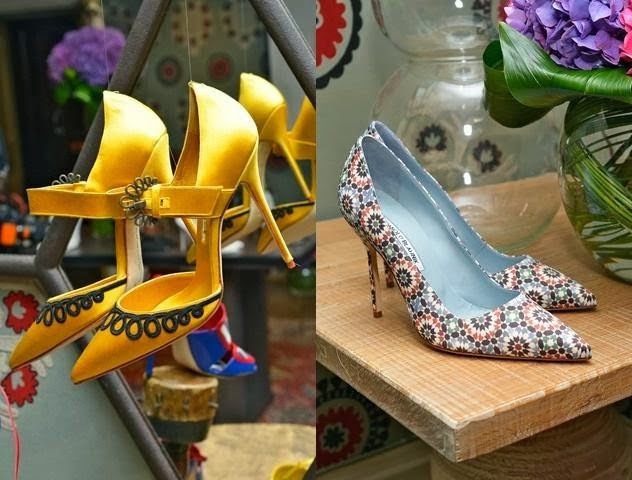 Shoes are a girl's first love for sure, and none other than a designer pair can make skip a heart beat. 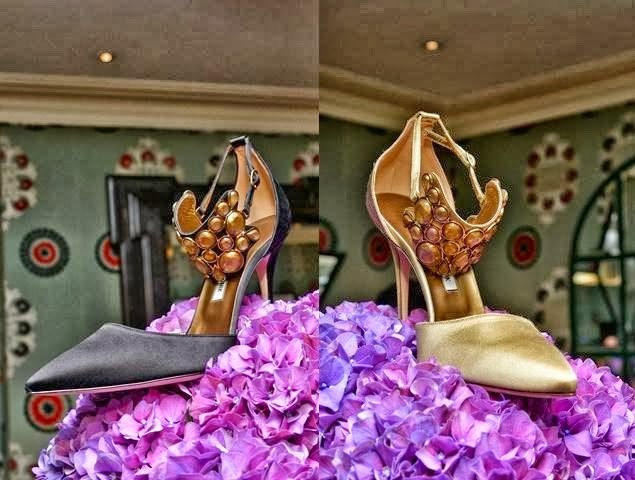 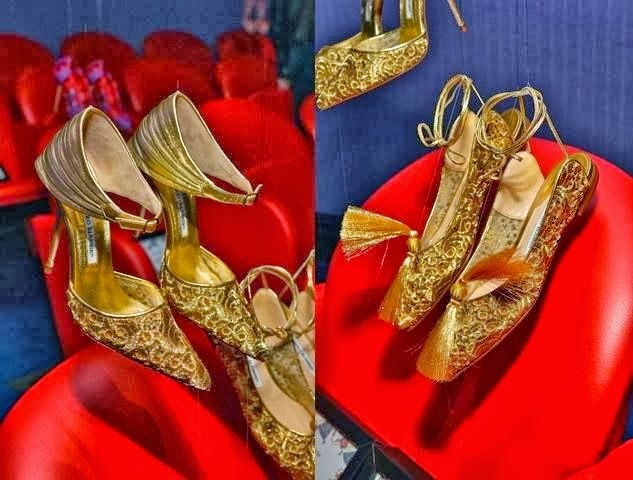 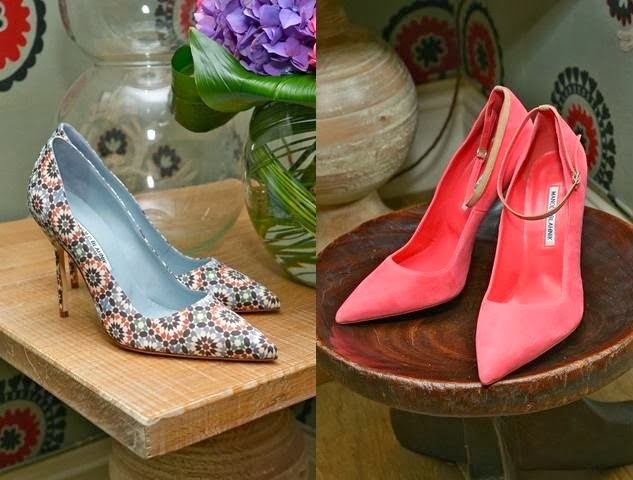 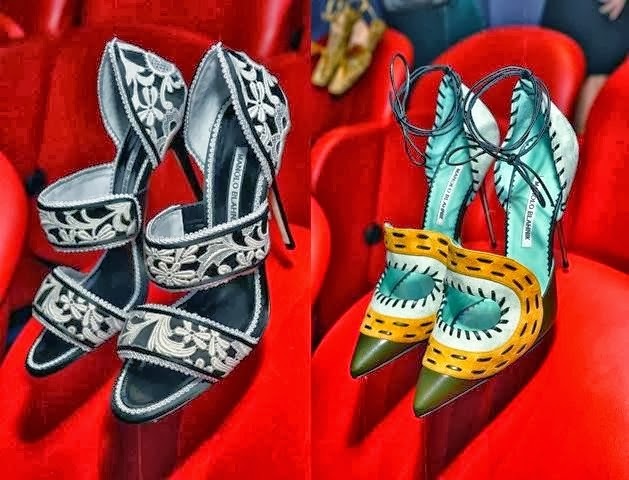 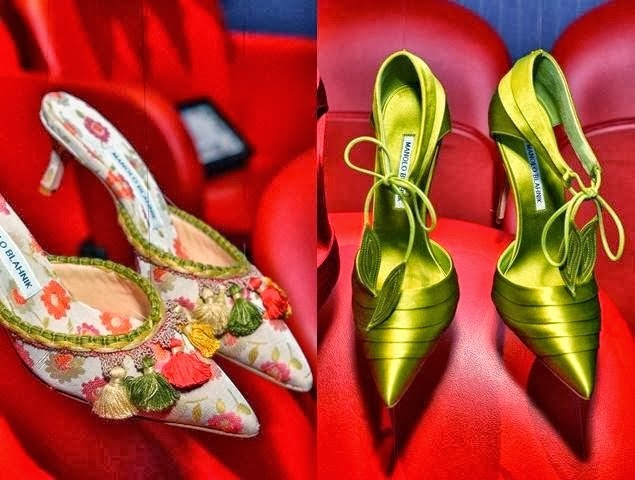 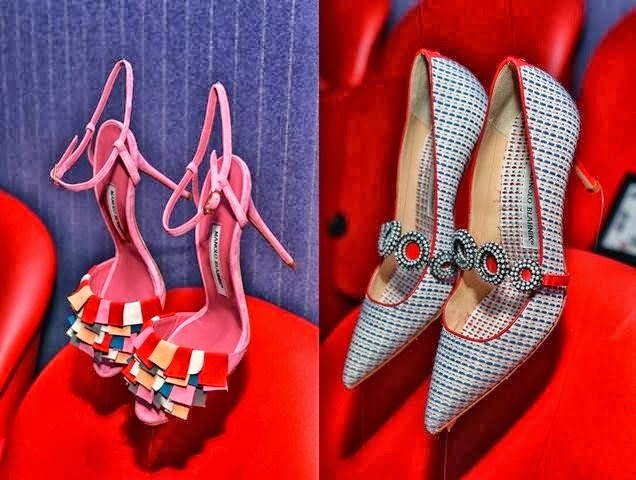 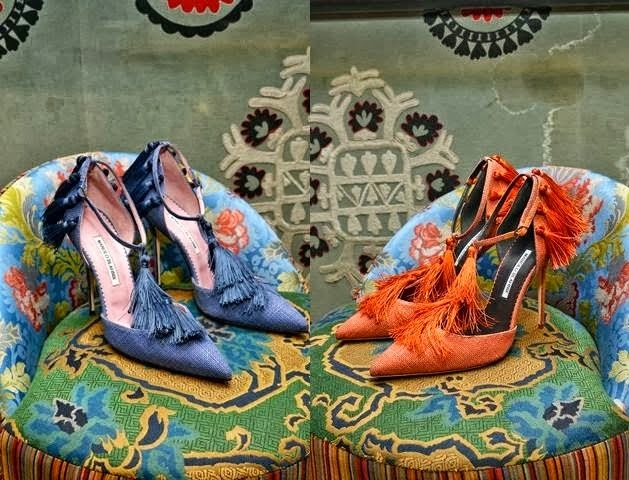 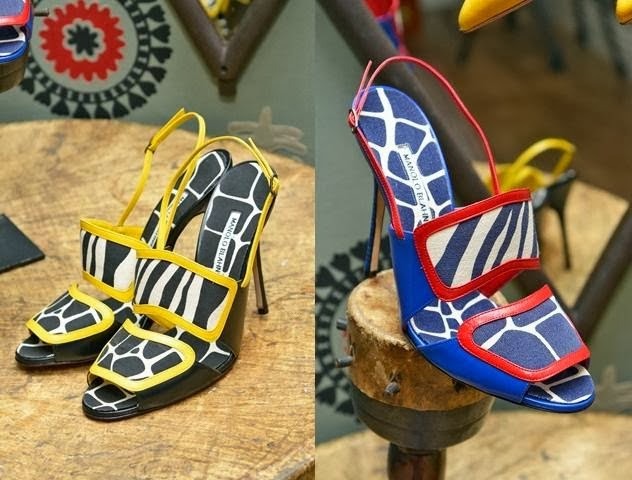 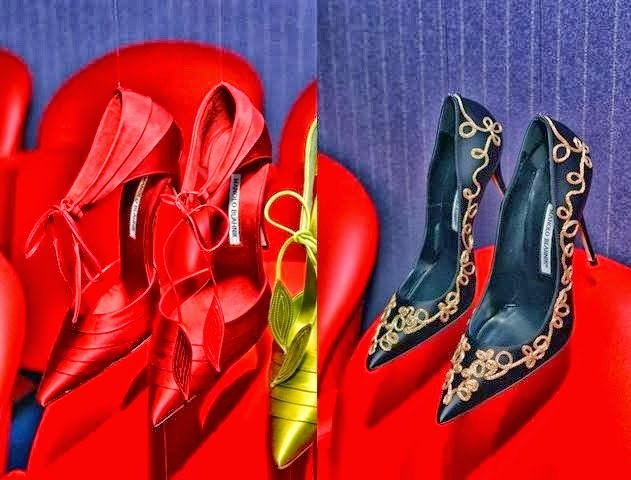 Luxury shoes label Manolo Blahnik presents the Spring/Summer 2014 collection of shoes designed to fit a queen, featuring artistic details, extravagant details, and whimsical hues. 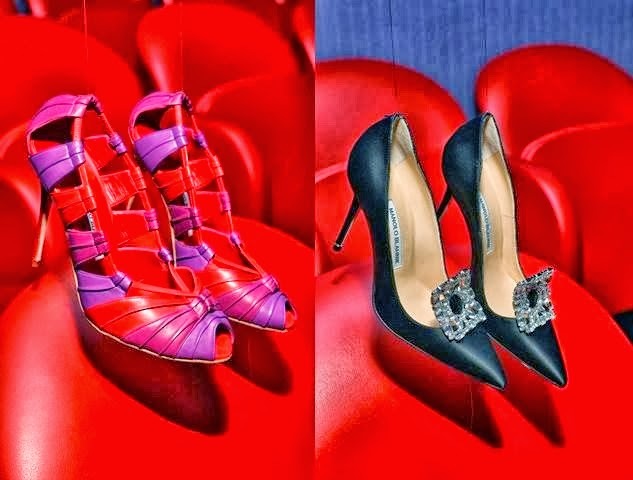 From ankle strap sandals, to kitten heels, boots, flat sandals, pumps, and peep toes, the collection is an exotic delight. 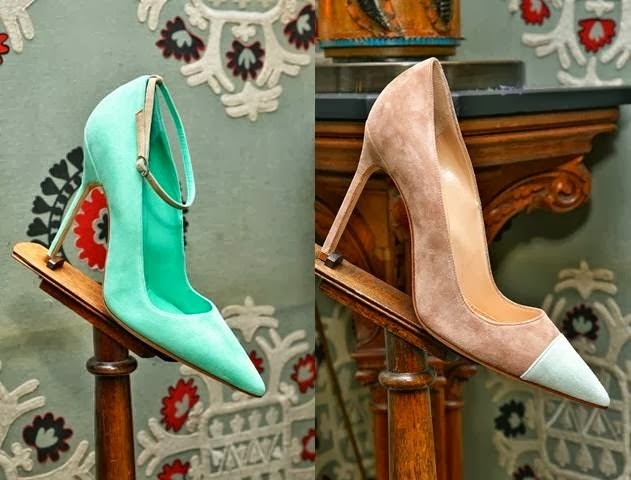 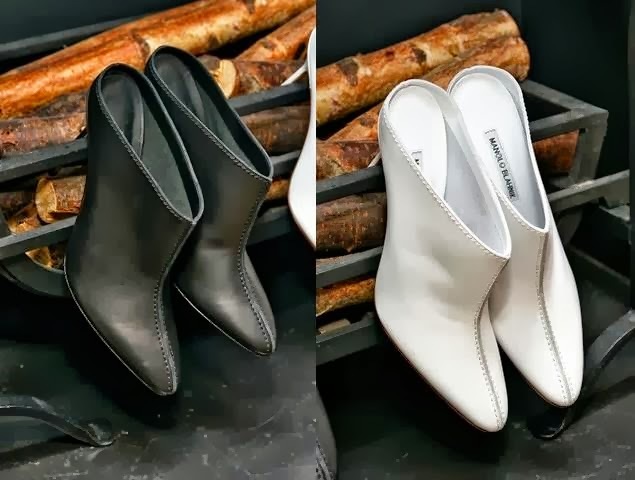 Lace, satin, suede, and embellishments adorn the designs which are truly unique and remarkable, and present the high fashion style, elegance, and quality Manolo Blahnik is known for.